The Basque city of Bilbao has much to entertain the visitor, from world-class art museums to fine dining restaurants, hip and trendy districts, food markets and plenty of avant-garde contemporary architecture. Here are 20 must-visit attractions in Bilbao. 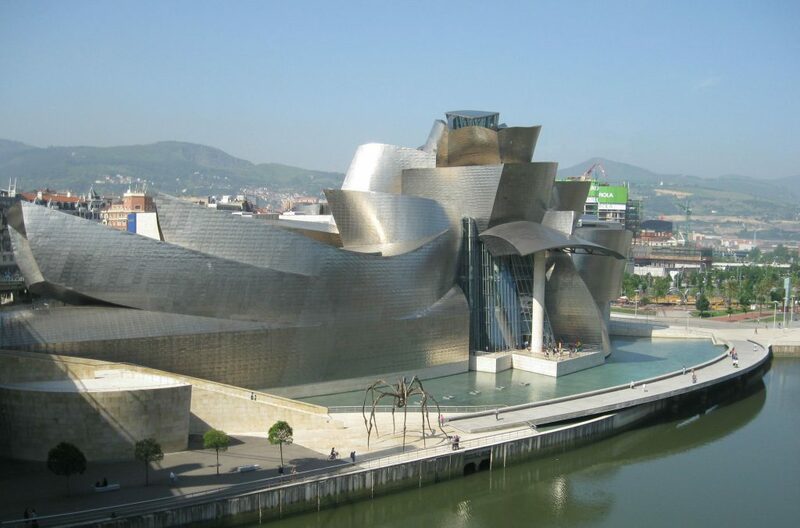 The Guggenheim Museum, Bilbao’s top attraction, draws the most tourists to the Basque city. 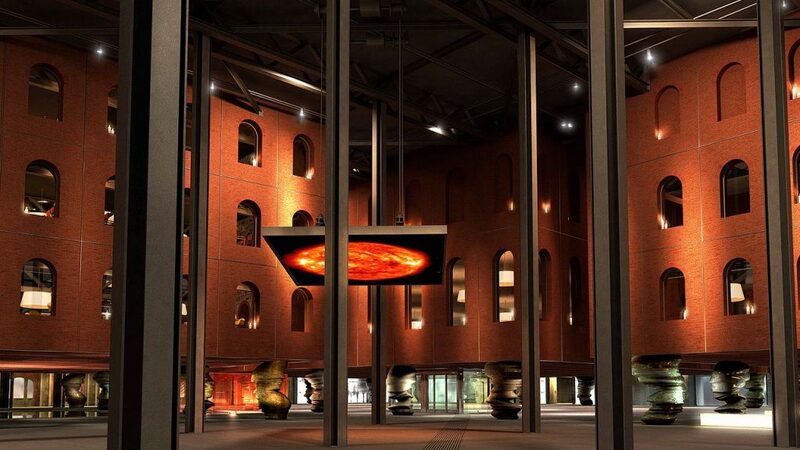 Housed in the celebrated metal ship-like building designed by American architect Frank Gehry, it features contemporary artworks by people such as Eduardo Chillida, Andy Warhol, Richard Serra and Mark Rothko. Surrounding the Guggenheim lies the Art District, filled with large-scale sculptures by famous artists. Look out for Puppy by Jeff Koons, giant spider Mamen by Louise Bourgeois, and Tall Tree and the Eye by Anish Kapoor. 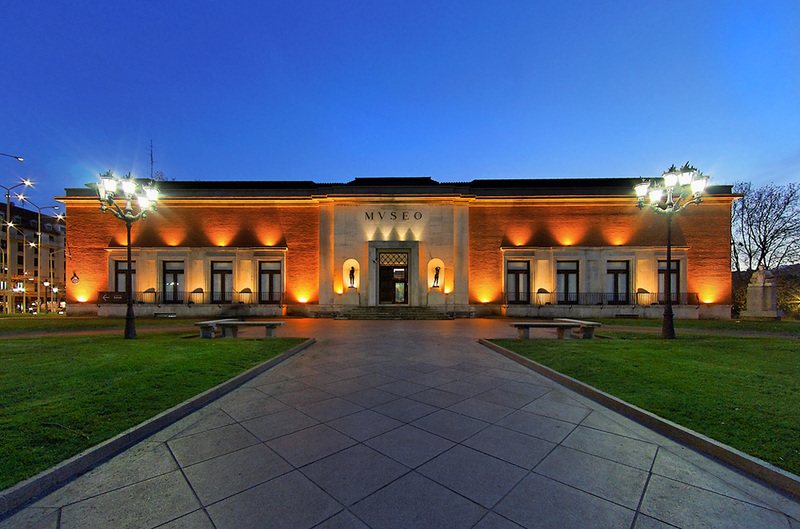 Museum of Fine Arts of Bilbao, one of the most important fine art collections in Basque Country, first opened its doors in 1914. It houses both Spanish and international art, from the Middle Ages to the 19th century. Some artists featured here include El Greco, Goya, Murillo and Gauguin. Casco Viejo is Bilbao’s Old Town, consisting of seven main pedestrian streets and many winding alleys. Filled with historic architecture, this district is also home to some of the city’s most important sights: Bilbao Cathedral, Ribera Market, and the Plaza Nueva, surrounded by delicious pintxos bars. Dedicated to the Apostle Santiago (also known as St James) Bilbao Cathedral was constructed in the 15th century in both Gothic and neo-Gothic style. Head inside to see the cloisters, the ornate alters and towers, as well as the Diocesan Museum of Sacred Art. Azkuna Zentroa, formally known as the Alhóndiga, was once the city’s wine exchange and storage house. Redesigned by artist Philippe Starck, today it’s set on 43 individually designed columns, from art deco to Chinese-style ones covered in dragons. The Azkuna Zentroa is now the city’s premiere culture and leisure centre, holding various events, exhibitions and workshops throughout the year. 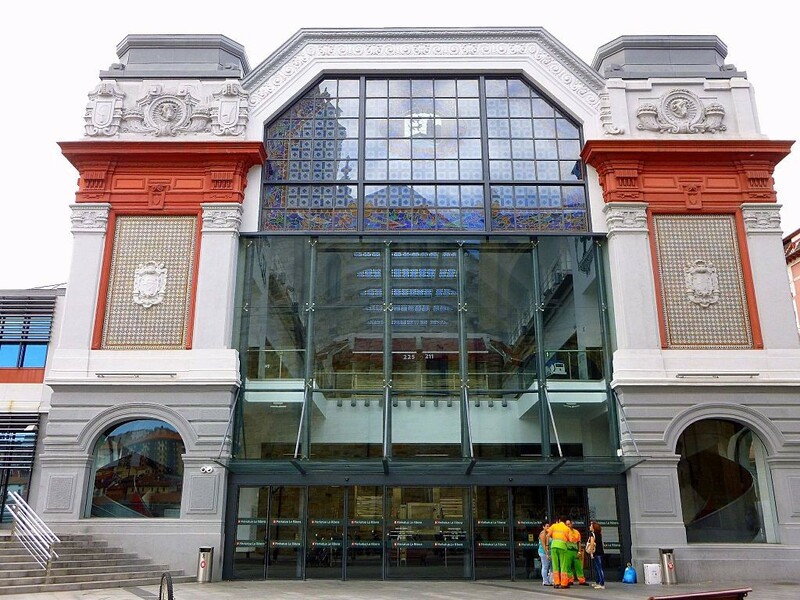 Europe’s largest indoor market, with over 10,000m² (110,000 sq ft), the art deco-style La Ribera Market simply can’t be missed. Shop for traditional produce, browse fresh fruit and veg stalls or simply stop for a drink at one of the bars – something will keep you entertained. The market also has a few restaurants and its own in-house jazz band. 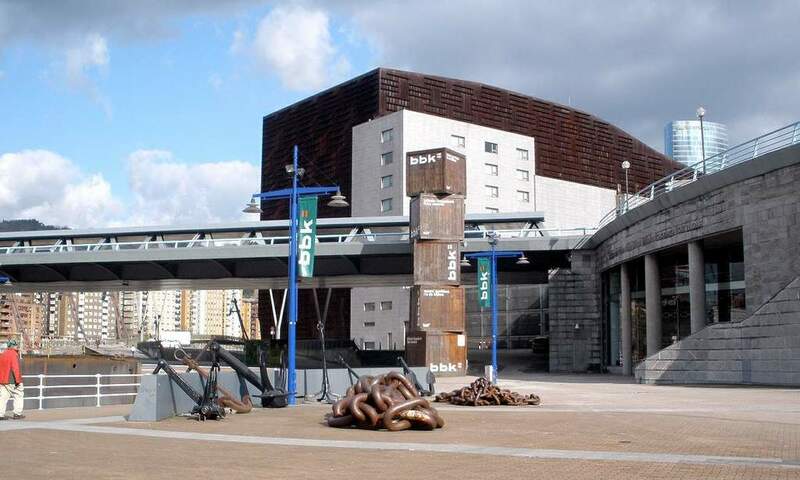 For those who want to learn more about Basque culture, a visit to the Euskal Museo Bilbao is essential. 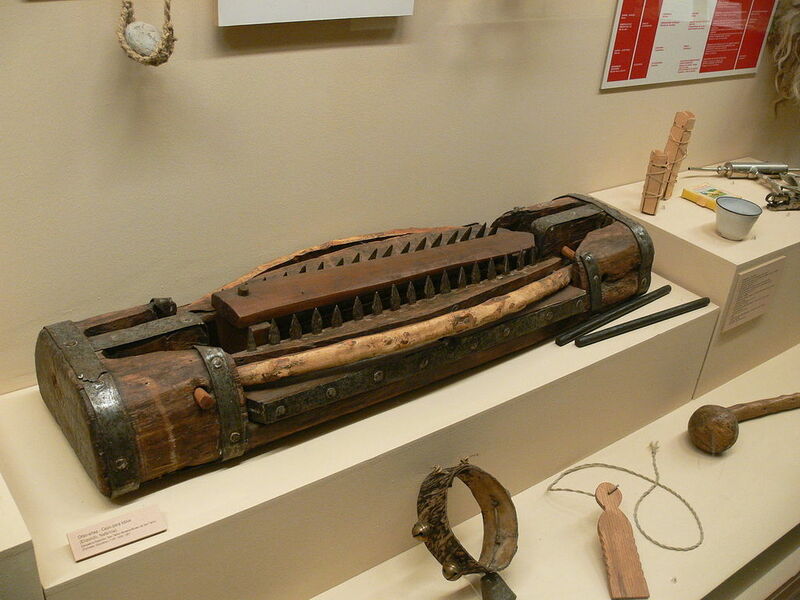 The museum houses a varied collection of over 20,000 artefacts – everything from sculptural pieces and shields to sarcophagi and altarpieces to fishing equipment. Not to be confused with the Casco Viejo, Bilbao La Vieja, also referred to as ‘Bilbi,’ has quickly become the hippest and trendiest district in Bilbao. It’s known for its innovative street art, funky bars and cafés, as well as small galleries and fashion boutiques. 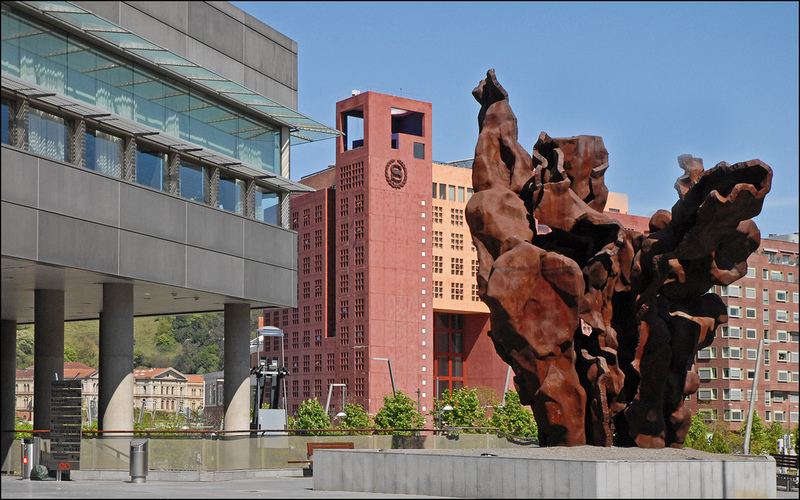 The Bilbao Maritime Museum details the Basque Country’s special relationship with the sea, displaying exhibits on ship building as well as local fishermen. Visitors can see ships built in the shipyards of Bilbao and a collection of model boats, and the museum also holds various workshops and family activities. 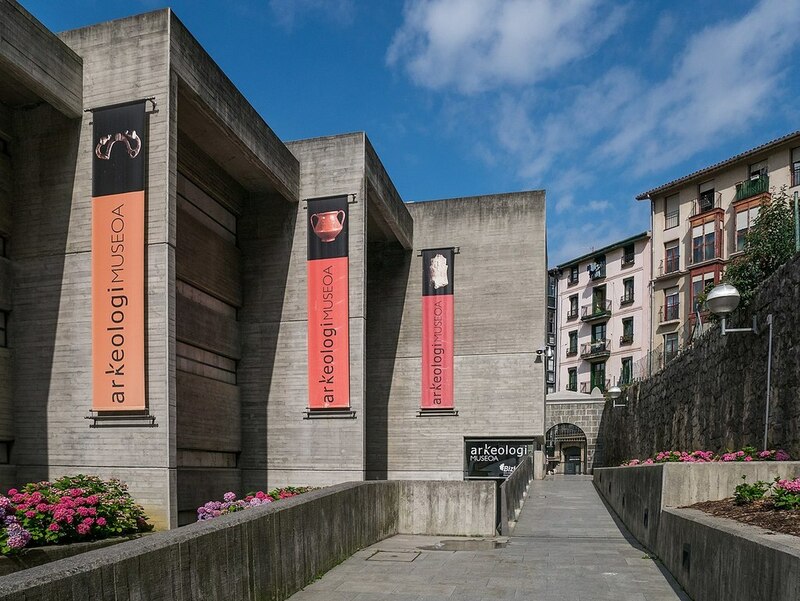 The Bilbao Archaeological Museum aims to educate visitors about the city’s history and how it has shaped Bilbao today. Its exhibits transport the visitor from the very beginning of human existence all the way to the modern day through a series of objects and restored archaeological remains. Euskalduna Palace, Bilbao’s conference centre and concert hall, was established in 1999 and is one of world’s best conference centres today. Designed by architects Federico Soriano and Dolores Palacios, it symbolises the last ship built in the city’s old shipyards. Check out the latest programmes of concerts, opera, dance and theatre here. Basque Country is known for its pintxos: small pieces of bread topped with a variety of classic ingredients, from meat and vegetables to seafood, all held together with a cocktail stick. Bilbao is one of the best cities for a night of bar hopping and filling up on the most delicious pintxos from each bar. Some of the best and most traditional pintxos bars can be found in the Casco Viejo. As well as pintxos, Basque Country has become world renowned for its fine dining cuisine. While Bilbao might not have as many as San Sebastian, it does have its fair share of Michelin-starred restaurants. Rio Nervión, also called the Ría de Bilbao, is the river that runs through the centre of the city. 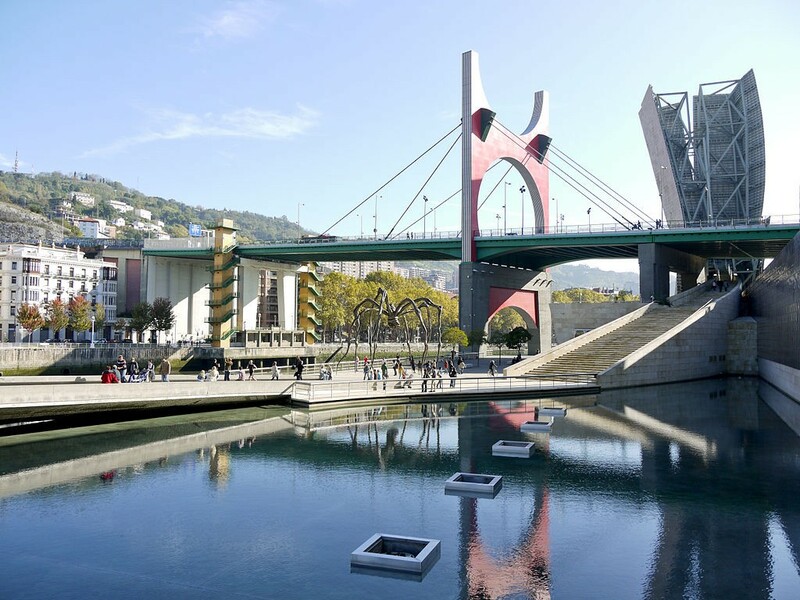 Many of Bilbao’s major attractions lie along the river, so it’s ideal to explore by boat. A number of different river tours in the city, from kayaking ones to relaxing tour boats, are available. 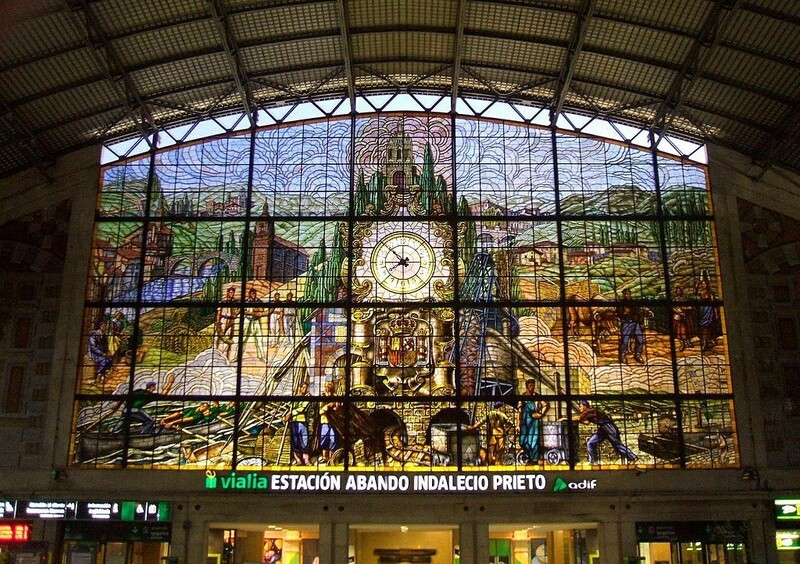 Train stations are not usually tourist sights; however, the Abando Train Station in Bilbao is home to a huge stained glass window that is worth a visit. 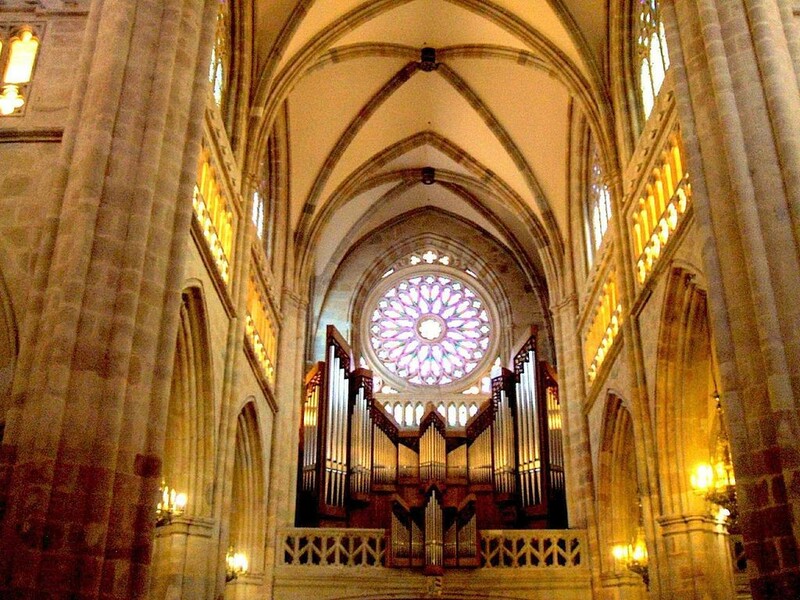 The window depicts images of city attractions, such as the Basilica of Begoña, as well as various aspects of Basque culture, such as rural sports of wood-chopping and stone-lifting. 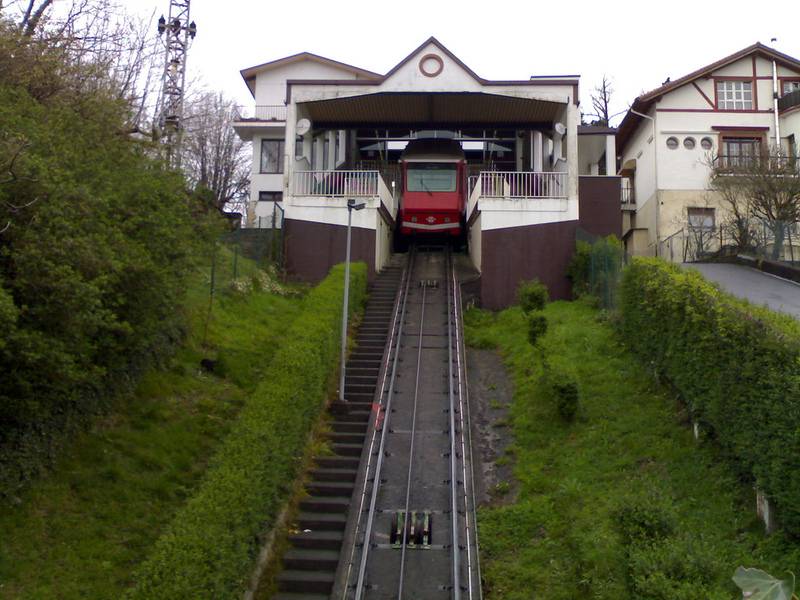 The old mountain railway has been running since the 19th century and shuttles visitors up and down Artxanda Mountain. Admire some of the best city views from here, take a walk around the many nearby paths, or enjoy any one of a number of restaurants. 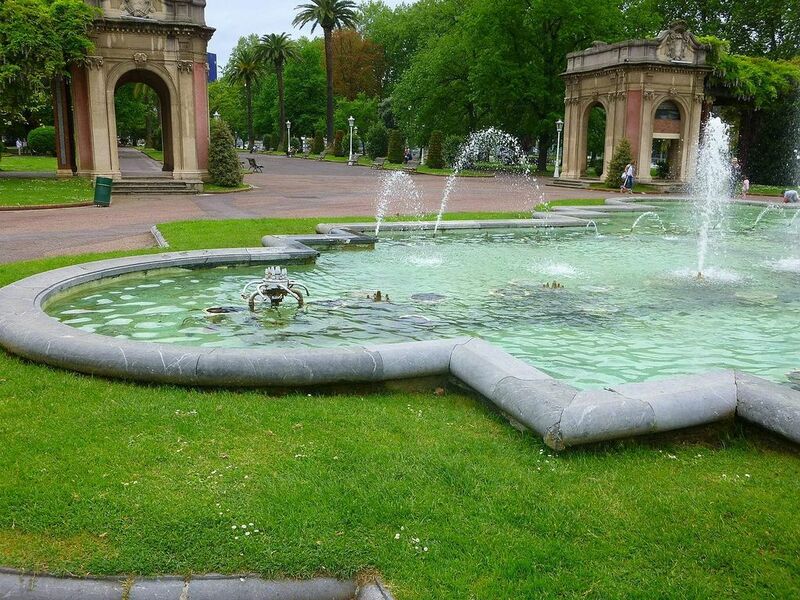 Sitting just above the central districts of Abando and Indautxu, Doña Casilda Park is Bilbao’s biggest and best park, surrounded by major attractions such as the Guggenheim, Fine Arts Museum, Maritime Museum and Palacio Euskalduna. Home to wide green spaces, tree-lined boulevards, ponds and fountains, the park is a perfect space for relaxing. This iconic bridge crosses the river right next to the Guggenheim Museum. Constructed in the early 1970s from green concrete, it was one of the first bridges in Spain to be built with a cable system. For the 10th anniversary of the Guggenheim, French artist Daniel Buren added a huge red arch across the top. The Museum of Artistic Reproductions houses reproductions of some of the most important artworks from ancient Greece and Rome. 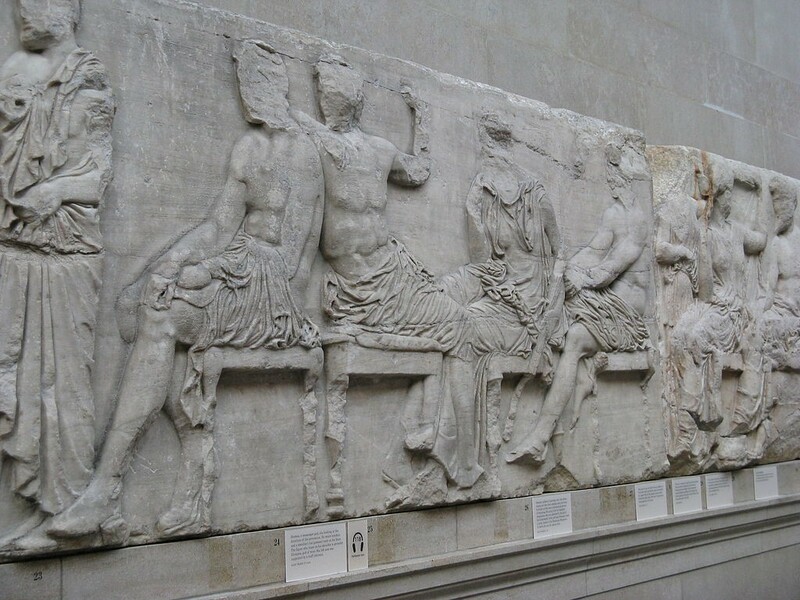 Some of the most famous reproductions here include the Venus de Milo, some of the Elgin Marbles and the Winged Victory of Samothrace.